1.) criticality of the feature: How important is the feature for the over-all-functionality of the software – ask the manager! 2.) fragility of the feature: How frequently bugs have appeared in relationship with the feature in the near past – ask the developer! 3.) persistence of the feature: How probable are changes to the feature in the near future and as a consequence a ressource-consuming maintenance – ask the manager! With these criteria you can make a lightweight plan, where to start the test-automation. 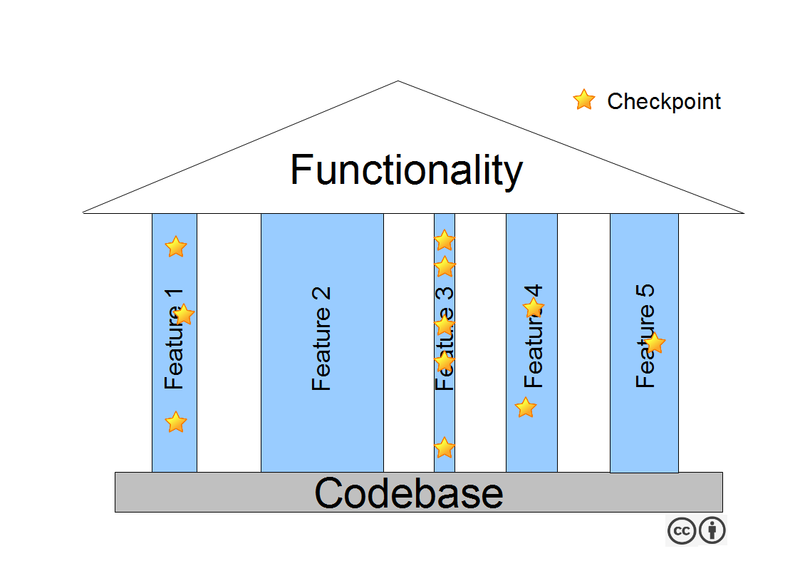 Over the time you add more and more checkpoints as new features come and as you learn about the „organism“ of the software. Learning should result in heuristic rules like „make a new checkpoint for every new bug“.